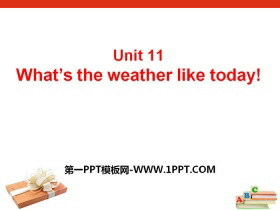 Unit11What's the weather like today? 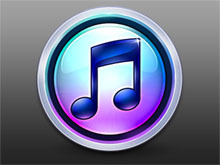 《Four seasons in one day》MP3音频课件 文件内包含本课教学使用的MP3音频文件，非常适用于本课教学。 关键词：广州版五年级上册英语MP3音频课件免费下载，《Four seasons in one day》音频下载，.mp3格式；..
《Four seasons in one day》PPT课件 第一部分内容：本课时目标： 1.掌握四会单词：dear, said, before, went, quickly, change, away, lunchtime, hard, had, thought, finish, walk, true, yours. 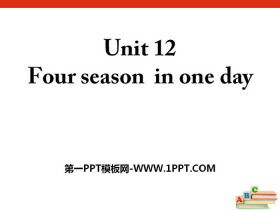 2.学习课?#27169;?#29702;解课文主要..
《Four seasons in one day》PPT 第一部分内容：Questions and Answers Questions : How many seasons are there in a year? what are they? Answers: There are four seasons in a year. They are: spring, summer, autumn/fa..
《What's the weather like today?》MP3音频下载 文件内包含本课教学使用的MP3音频文件，非常适用于本课教学。 关键词：广州版五年级上册英语MP3音频课件免费下载，《What's the weather like today?》音频下载，.mp3格式；..
《What's the weather like today?》PPT免费下载 第一部分内容：新课导入 January, February March, April May and June July, August ,September October，November，December. ... ... ... 《What's the weather like today?.. 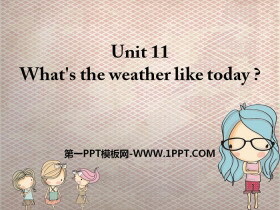 《What's the weather like today》PPT 第一部分内容：play a game. 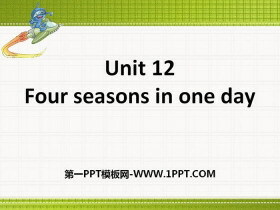 rain wind rainy sun sunny snow windy snowy cloudy 1.What is the weather like today ? It is so cloudy. I think it will rain soon. Again? 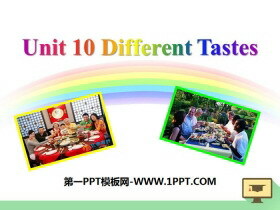 The weathe..
《Different tastes》MP3音频课件 文件内包含本课教学使用的MP3音频文件，非常适用于本课教学。 关键词：广州版五年级上册英语MP3音频课件免费下载，《Different tastes》音频下载，.mp3格式；..
《Different tastes》PPT 第一部分内容：本课时内容和目标： 1.复习和巩固本单元单词、课文。 2.学生能口头介绍中西饮食的不同和中国不同地域?#30446;?#21619;。 3.学生能谈论自己的饮食爱好。同时四会学习单词bun, pancake, salad, stea..
《It smells delicious》MP3音频课件 文件内包含本课教学使用的MP3音频文件，非常适用于本课教学。 关键词：广州版五年级上册英语MP3音频课件免费下载，《It smells delicious》音频下载，.mp3格式；..
《It smells delicious》PPT下载 第一部分内容：warming up: sing a song I like... aims: 1.熟读本单元单词，快速记忆。 2.掌握相关?#39318;?#21333;词。 3.掌握重点句型。 ... ... ... 《It smells delicious》PPT，第二部分内容：word..
《It smells delicious》PPT 第一部分内容：Sing a song Come on baby! Im hungry now. I think Ill go to KFC first. Do you like them? They look delicious, but very hot. I dont like hot food. They are quite sweet. I ..